I thought you guys might find this an interesting debate over Amazon's review practices. 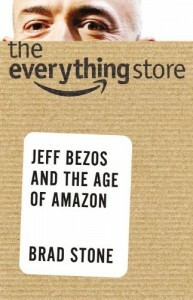 Earlier today MacKenzie Bezos, Jeff Bezos wife, wrote a 900 word critical 1-star review of the book The Everything Store: Jeff Bezos and the Age of Amazon by Brad Stone. Some people believe her review is biased, and questions her ethics and impartiality. Others, feel she is a most qualified source to set the inaccuracies straight. Both sides have a point I guess, but IMO I thought it was a most excellent review. The LA Times is also having a go at determining if she was being fair, or if this is just the Amazon way.